EXCLUSIVE! Properly warmed, of course, to release those subtle notes of hay, sun, and aged barnwood. 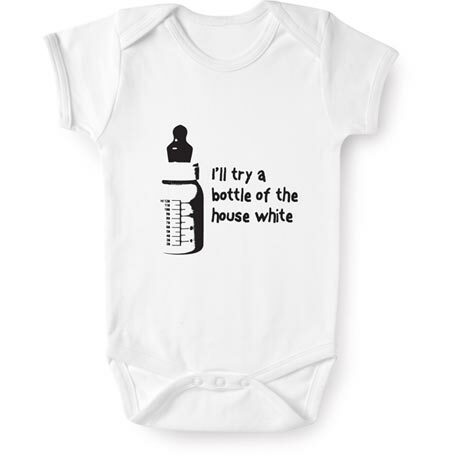 White 100% cotton one-piece romper has lap shoulders and three-snap bottom. Sizes 3-6 mos., 6-12 mos., 12-18 mos., 18-24 mos. Imported.